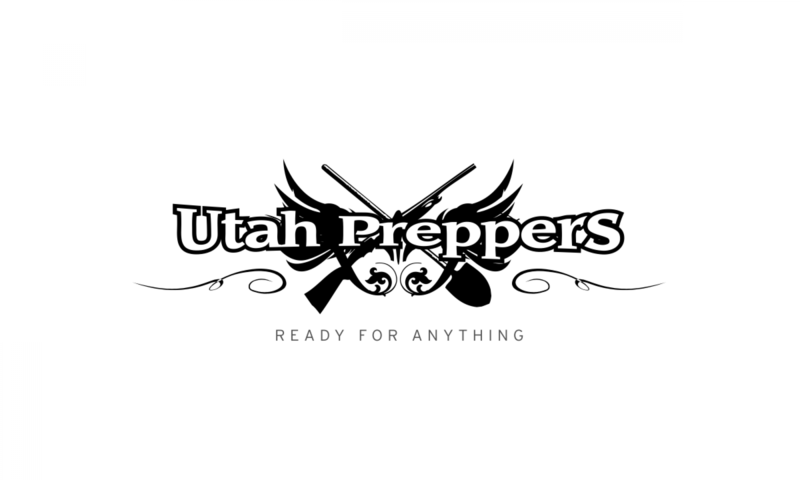 In Utah, one of the most obvious concerns in preparedness is how to supply safe drinking water to your family. If this is a surprise to you, well, you really should re-asses your priorities. In the middle of a desert, any water you get ahold of is often suspect. Between mining runoff, animal waste, human waste, and farm runoff, we have a long list of things that can invisibly make our water dangerous. Even water you’ve stored might be growing something toxic. Memories of those water filters from Brasil were brought back to mind, and so I searched. What I found was something called the Berkey Filter. What I also found was something that seemed a bit pricey, but exactly what I was looking for. When it comes to home systems, there are two main categories for Berkies, the ‘Light’ models (James recorded his impressions with a Berkey light system already) which are made from a non-BPA CoPolyester. The Berkey Light can hold 2.75 gallons and up to 4 Black Berkey elements. Based on overall pricing I went with the Big Berkey model as a way to get what I saw as the best features, but in a size that would fit well in our home. In hindsight, going slightly larger with the Royal model might have been a good idea for when my kids are bigger, but the only difference is a gallon of already filtered water. Right now, it handles the 5 people in my family well and increasing the size just would delay time between refills. If you are a larger family the other models would be worth considering unless you want to refill a lot. As a point of interest, plan on each filter handling approximately 6 gallons a day, so having more elements speeds up the process. Also important is the fact that water filters faster when the upper reservoir is full, since there is more weight => more pressure pulling it through the filter. However gravity keeps working even if the bottom is full, so if can overflow if you fill without using what’s already processed. Everything I needed came via FedEx from Directive21 very quickly. The box was well packed, and I quickly had everything out. The spigot, lid handle, and filters needed to be installed before use, and instructions are provided, though it’s really not difficult. Before you install the elements they recommend you flush them out with a provided gasket, and a known good water supply. If you were just trying to set this up and use it in an emergency you could skip this step, but what it does is use the water pressure to force out the air inside the element itself, allowing water to flow easier, thus speeding up early filtration. Knowing how to flush the elements is also useful in that it provides a way to help clean your filters and extend their life. As a note, I ordered two of the Black Berkey elements for my system. The Big Berkey can handle up to four, which will extend your filtering lifespan, and speed up filtering. But as a way to save money you can start with just two, and it works fine, plugs are included for the extra spots. The only difficulty I had in setup was in following the instructions too literally. When adding the spigot it warns not to over-tighten. And so the first time I set it up, I had a slight slow leak from the spigot underneath. After I emptied it out, I just tightened a little more and it worked perfectly. Compared to other standing filter builds, the Berkey systems really are the Cadillac’s of the industry (actually I’d say better, maybe the Aston Martin or Maserati if either of those are your preference). They are rock solid, the metal is good, and the filters are amazing. After setting up I tested their red-dye claim. Putting in red food coloring, I watched, and enjoyed seeing clear water come through. This was also a handy test when proving that the seals on my filters were on right. 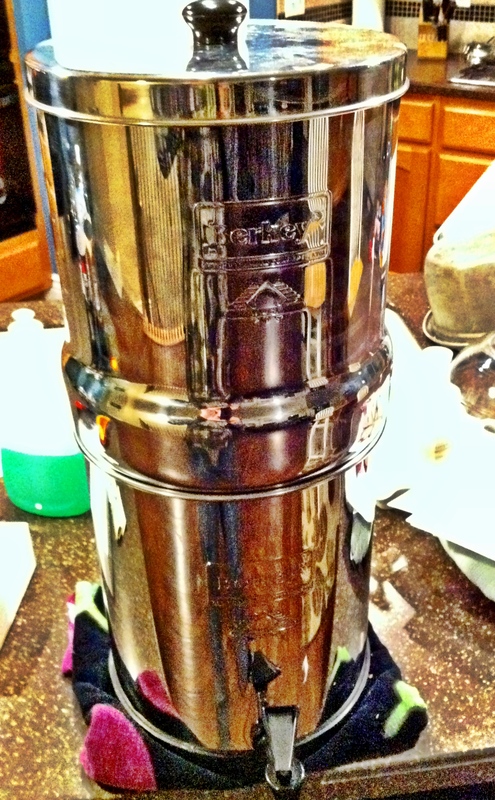 The Big Berkey has been sitting in my kitchen for six months now. In an area whose water is mineral heavy, and loaded with scale we knew we’d be giving this filter a tough test. The Berkey has exceeded our expectations. Water that comes though tastes dramatically better. If we leave it on the counter, you dont’ get sediment that settles to the bottom like normal tap water, or even that through our fridges filter. While not evaporative like a terra-cotta case, the water is kept slightly cooler than room temperature. Unlike the filters from Brasil, there is no added ‘muddy’ taste. It’s so good that my kids actually prefer drinking from our Berkey than from our fridge or Brita style filter. And as for looks, this is the one filter that my wife has no problem sitting in our kitchen. Not only does it not look out of place, it actually looks *good*, not something you can say about most any preparedness item. So what got my attention for a Berkey vs other filter systems? The terra-cotta filters from Brasil are far less expensive, and you can actually make your own Berkey-like device for far less money. First, let me say, that if all you can afford is a DIY version, please get started with that. Water is the most critical resource to your preparedness supplies, so having something is better than nothing. But conversely, would you rather go cheap as possible with the most important part of your food storage, or make sure you have the highest quality? Well to me, I’d rather have both, and so I do. Down in my basement I have a build-your-own filter from buckets and decent ceramic filters. It’s good, but upstairs I have my higher quality filter in daily use. As for the filter elements (also commonly referred to as candles), there is also a difference. Not all ceramics are the same, and the Berky’s use the best, rated up to 3,000 gallons each officially (I have two right now, and many people claim far longer life depending on your water) they last far longer than the smaller ones you will find in most other systems. The filters themselves won’t expire, so it’s easy to get more as you can to keep in store for when you need them. I have had mine for about six months. We bought the biggest Crown and run only one filter, with underneath additional filter. This supplies enough water for a very large family. Crown – better weight of gravity and more water storage, this is a smarter choice setup even for smaller families. Beware filters dated april may 2011, defective – the glue dissolves. They were replaced by co. so all good. I wish I had some extra internal spigot grey seals. We own a big berkey as well, but I have since discovered an even better technology. The Sawyer filters. Their best seller is the Sawyer Point One that filters down to .1 microns (which depending on what you read is better than the Berkey), but even that is enough and allows most viruses to pass through. So we invested in the Sawyer .02 ( http://www.sawyerpointonefilters.com/point-zero-two-purifier.php ) which filters 99.9997% of viruses and 99.99999% bacteria and 99.9999% of protozoa and cysts. This filter is based on the technology used in kidney dialysis machines. And the best part is the water flow rate is very fast (almost as fast as you can pour it into the tube). Really glad to see this post! I’ve had a Big Berkey in storage for several years and finally decided to take it out and get acquainted with it. We all love it! The water tastes so much better than the tap water we were drinking and I love knowing that it is set up and ready for an emergency. Also, it gives me some idea of how much water we are using in a day for drinking and cooking.